Dubai will host the smash hit “The Very Hungry Caterpillar Show”, which has enchanted young audiences across the world, this month for three days. 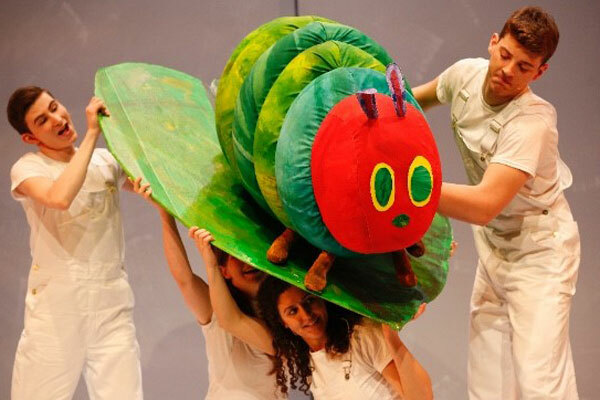 The Very Hungry Caterpillar Show will perform three times a day from January 13 to 15 at the Centrepoint Theatre, Ductac, Mall of the Emirates, Dubai. The Very Hungry Caterpillar Show, by author/illustrator Eric Carle has delighted generations of readers since it was first published in 1969 selling more than 43 million copies worldwide. generations of children to a bigger, brighter world - and to their first experience of reading itself. Now the timeless classic has made its way off the page and onto the stage on this critically acclaimed theatrical feast featuring a menagerie of 75 lovable puppets, faithfully adapting four of Eric Carle stories, The Artist Who Painted a Blue Horse, Mister Seahorse, The Very Lonely Firefly and of course, the star of the show - The Very Hungry Caterpillar. The show is produced by Popular Productions, an international producer of quality theatre and entertainment with over 30 major productions to its name. Based in London and Dubai its producers are Lucy Magee and John Payton. Earlier this year the company produced ‘The Sound of Music’ at the Madinat Theatre and ‘The Complete Works of William Shakespeare Abridged’.